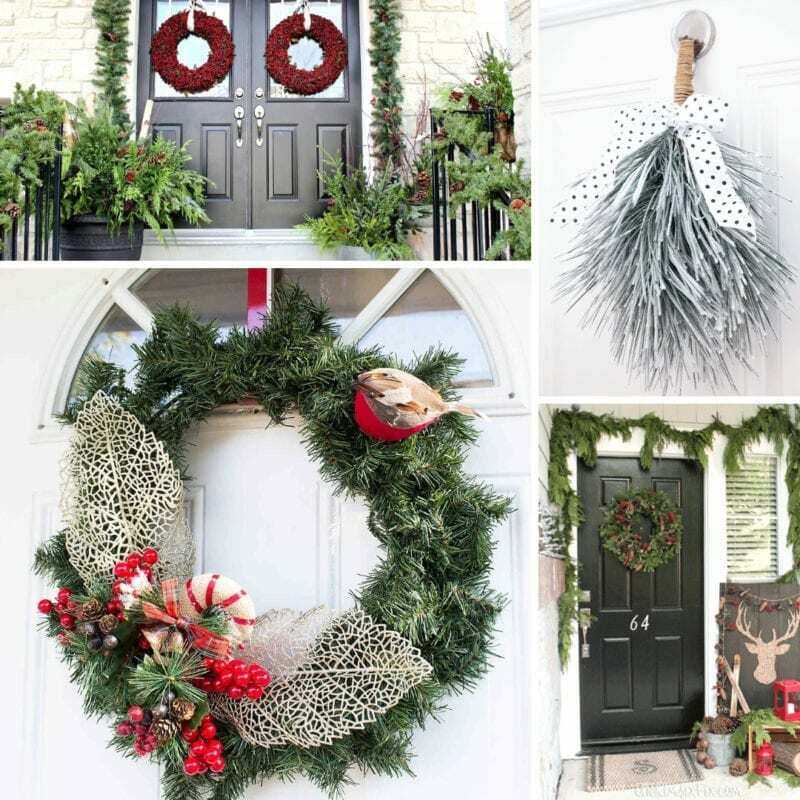 Winter front door ideas are perfect for those who want to ease their way into Christmas – or if you are like me, I live so far south that it really doesn’t feel like winter until January! By then Christmas is done and I need a front door without Santa and his elves. I love the charm of a nature-inspired entryway for winter. 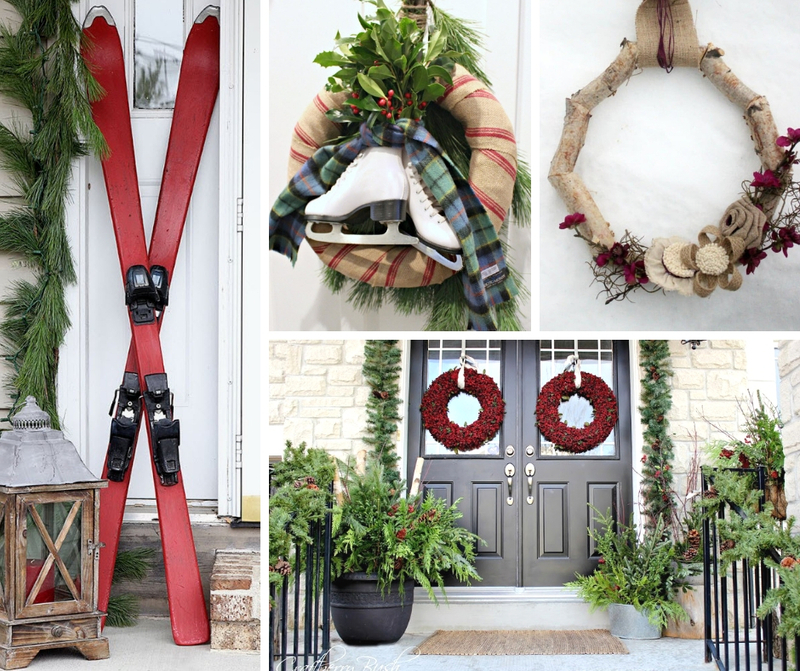 Holly leaves, fir cuttings, and frothy accents that remind you of snow make an entryway seem welcoming and joyful. There is something special about a front porch done just right… it invites your friends to come in to warm up with a warm glass of hot cocoa. A grapevine wreath is a perfect base for a rustically themed front door. Buffalo plaid is so trendy right now and a white quote in the middle makes for a perfect combination. Birch logs in a galvanized bucket would be a beautiful way to bring the design to life. 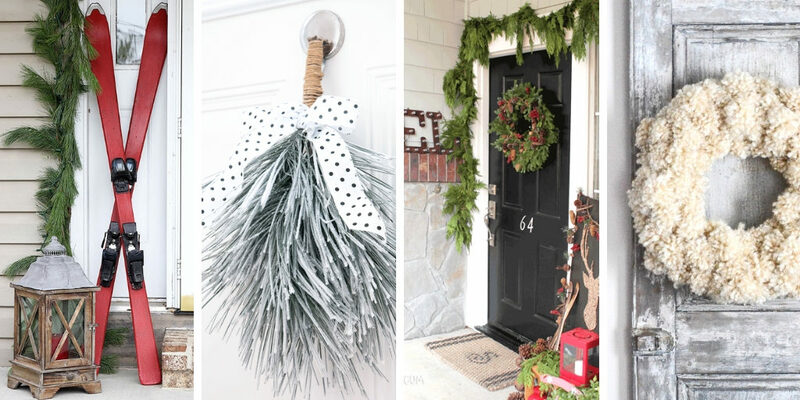 For a more farmhouse themed door, use a green wreath with burlap bows. Of course, a family monogram in the center of the wreath would tie the entire look together. Being from Savannah, I myself see many farmhouse themed front doors. Many people add small touches like pillows to their outdoor bench to ensure everyone knows they are welcomed. Wooden signs are also becoming very popular for decorating an entryway. They are easily seen from afar and they give you the freedom to put whatever you want to on them! Some may want their family’s last name on their sign. Others may think winter quotes are a great way to make an impression with their guests. Each person is different & every vision is unique. If the idea of a wooden sign does not suit your vision, old skis or lanterns make for a warm & inviting entrance. Full ferns also add a wonderful sense of life to a house. A winter themed entryway is what you make it, so be simple or as detailed as you like to please your own personality – since you will be walking in your entryway more than anyone else! Don’t forget to check out the tips here about how to save money in the floral department if you are looking to “winterize” an existing wreath! 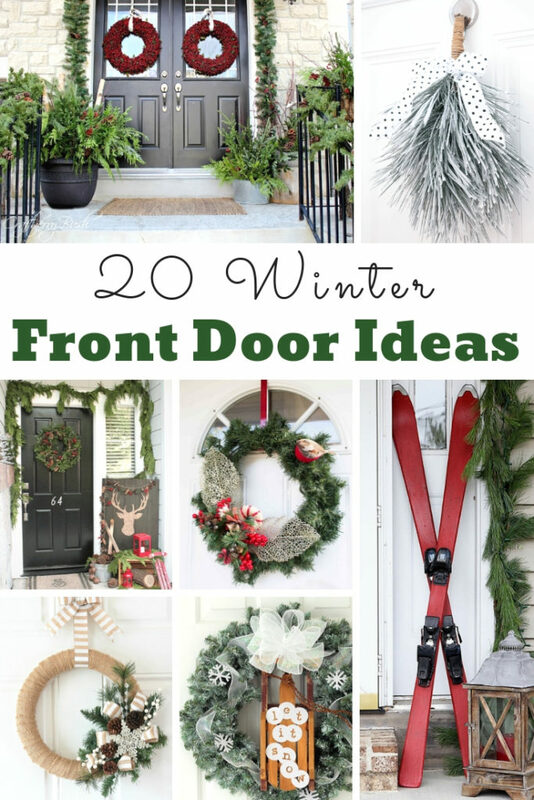 Need some Christmas Front Door Ideas? Check these out too! Also check out our spring front door ideas, summer front door ideas, and fall front door ideas!